Professional preservation technology is now more affordable for your home movies! In the past, viewing a reel to reel film required a noisy projector and screen, but it’s time for an upgrade. The art of film scanning allows us, at Replicopy, to use a frame-by-frame capture method. This type of advancement enables us to remove all flicker, ensuring that your home movies and films will now have a smooth playback. We know that this is an annoyance that our customers have dealt with for a very long time, and we are so pleased that we can offer film scan technology that will reset the course of home movies and the way in which they are shared with future generations. Converting old films to DVDs is one of the most important functions that we perform, and years of experience has made us excellent in our craft. This conversion technique requires careful attention and precision. Each transfer is supervised by a trained technician who controls and monitors the whole process, yielding a result that brings families images and memories that they haven’t seen for decades. Our job is always rewarding because our conversion and film scanning endeavors are giving back what has been lost or even forgotten. Many people have picked up their cameras over the years and shot a few minutes of this or a few minutes of that and then allowed the film to grow dusty on the shelf. Our extensive film conversion service helps to awaken these past adventures. 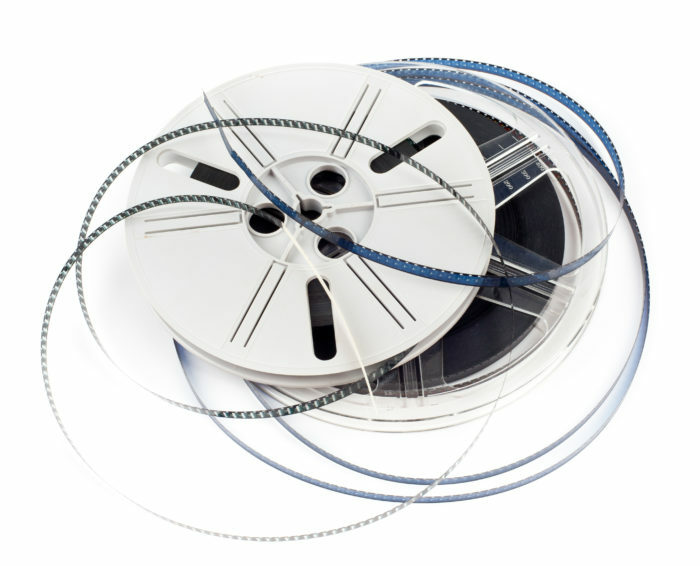 We can convert 16MM, 8MM, Super 8, and more, and this allows us to target basically any old film that you have stored away at home or in the attic. Even if you have taken special care to perfectly preserve and protect your film over the years, film stock deteriorates over time. No matter the age, it will eventually break down under normal storage conditions. On the other hand, DVDs can be preserved for many decades. It is unlikely that you still have a projector or that modern video stores even sell them because DVDs are the popular way to watch movies now. If you have old film that you can’t access, it’s time to make the switch to DVD. Bringing us your old film is never something that you will regret but an opportunity to be jumped on right away. Our film scanning technology will bring color and clarity to those dusty memories of traveling and birthday parties and family reunions. Why wait to revive that film and see just what it is that you have been holding on to for all these years? Call us today to get the process started.